The ATA8510-EK1 is for evaluation of the ATA8510 / ATA8515 RF transceiver devices and demonstrates a 2-way communication at 433.92MHz. The kit includes a sensor board with ATA8510 (RF transceiver running a Flash application), Xplained PRO ATA8510/15 extension board, Xplained PRO SAMD20 evaluation board and Xplained PRO OLED1 extension board. 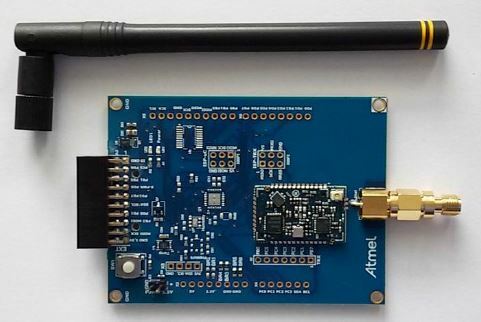 The ATA8520-EK1-F stand-alone kit is ideal for evaluation of the ATA8520E SIGFOX compliant transceiver and operates in the US 902MHz ISM band (FCC). The kit is SIGFOX Ready, FCC certified and supports class 0 output power. 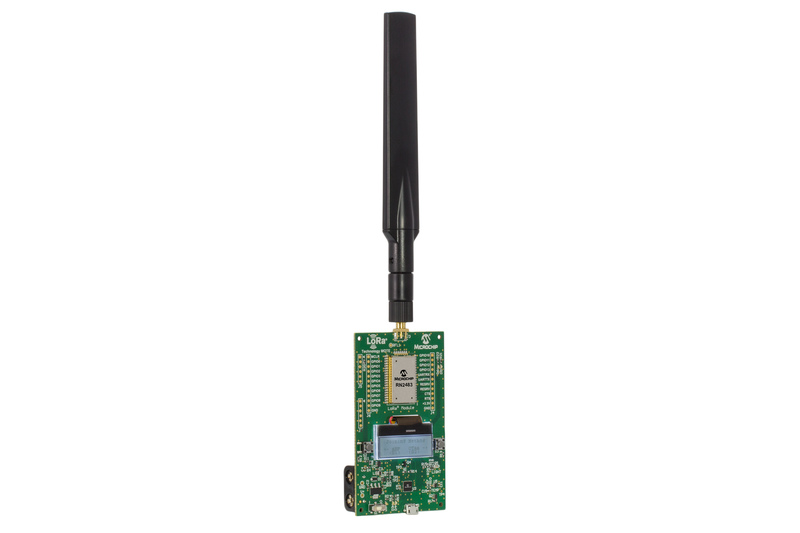 The evaluation kit comes with a fully pre-programmed ATA8520E device including SIGFOX ID & PAC code for registration in the SIGFOX backend and an antenna to be connected to the SMA connector. The ATA8520-EK1-F kit needs an external power supply or battery. 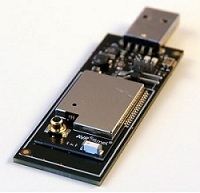 The ATA8520-EK3-F is a SIGFOX extension board for the Xplained Pro development kit. It can be used for evaluation of the ATA8520E SIGFOX compliant transceiver and operates in the US 902MHz ISM band (FCC). The kit is SIGFOX Ready, FCC certified and supports class 0 output power. The SIGFOX extension kit comes with a fully pre-programmed ATA8520E device including SIGFOX ID and PAC code for registration at the SIGFOX backend. The kit also provide an antenna to be connected to the SMA connector and the connector to plug the extension kit to the Xplained Pro board. 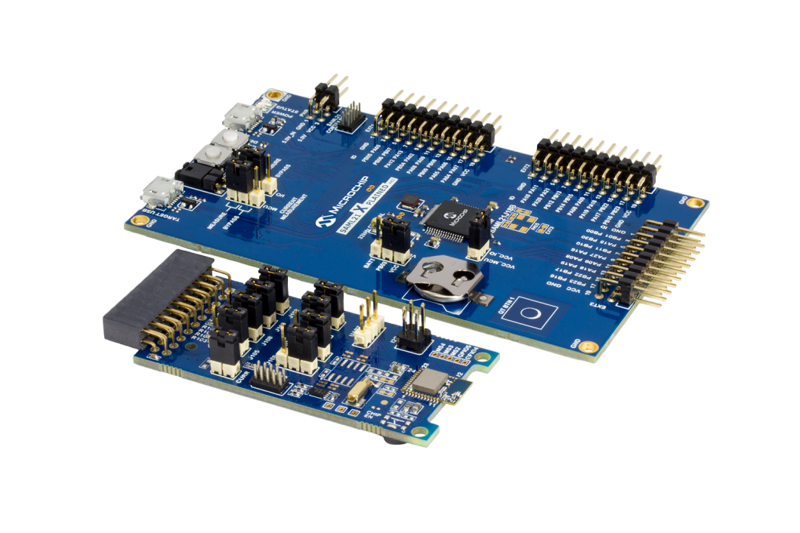 The Xplained Pro development board is not included in the SIGFOX extension kit and has to be purchased individually. The ATAK51002 evaluation kit provides a complete bidirectional Car Access RKE (Remote Keyless Entry) reference system. The kit includes one base station part and two key fob parts. The implementation of the base station demo was made via the SPI. This provides an easy example how to control the new next generation transceiver from an external host controller. The two key fobs functions are realized via an embedded flash application. This gives an example how to build up a 1-chip application. This type of application helps the customer to minimize the design and significantly reduce the costs in their application. The fully bidirectional communication is extended by using three RF channel. The key fob transmits the message on three different frequencies in case of a pressed button. This increases significantly the probability to get a successful communication even in a strongly disturbed environment. The base station is constantly in polling mode and searched for a valid message on the three known frequencies. In case of a successful reception, generates the base station part an acknowledge message. This message will be transmitted on the same channel that was used for the reception. This ensures that an undisturbed link will be used which minimizes the probability of a bad communication. The demo provides an overview of the different application types and includes the key features of the next generation transceiver family. Microchip's BTLC1000 Xplained Pro extension evaluation kit is used to evaluate the ATBTLC1000-MR110CA BLE module. The BTLC1000 MR110CA module is based on Microchip's industry – leading lowest power Bluetooth Low Energy 4.1 compliant SoC, ATBLTC1000-MU-T. 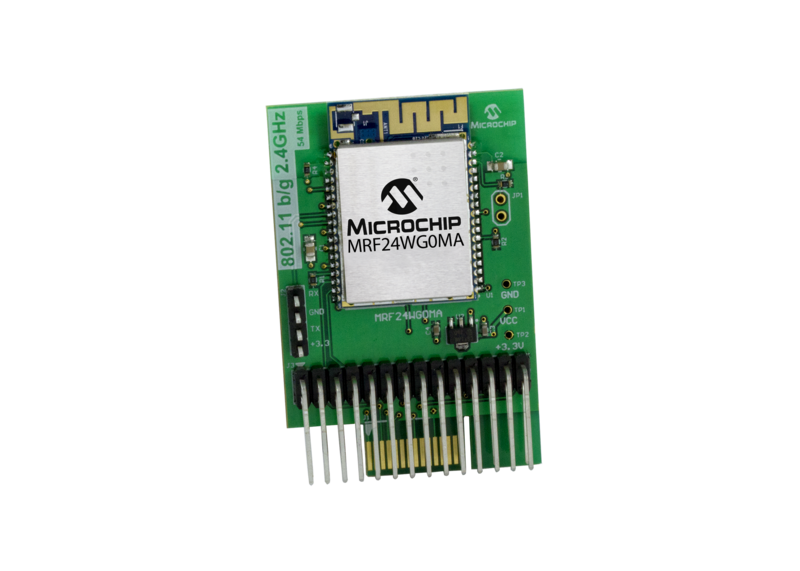 The XPro extension can be plugged into any of the supported Microchip's host MCU Xplained Pro evaluation boards to quickly add Bluetooth Smart connectivity to the existing host MCU platform. 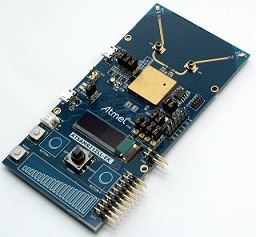 Supported by the Atmel Studio integrated development platform, the kit provides easy access to the features of the ATBTLC1000-MR110CA BLE module and explains how to integrate the device in a custom design. 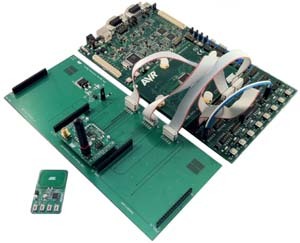 Microchip's ATBTLC1000ZR-XPRO Xplained Pro extension evaluation kit is used to evaluate the ATBTLC1000-ZR110CA BLE module. The ATBTLC1000-ZR110CA module is based on Microchip's industry – leading lowest power Bluetooth Low Energy 4.1 compliant SoC, ATBLTC1000-MU-T. 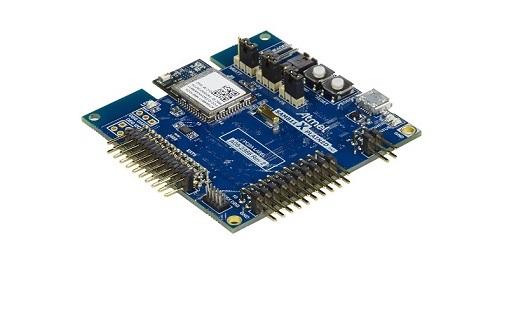 The XPro extension can be plugged into any of the supported host MCU Xplained Pro evaluation boards to quickly add Bluetooth Smart connectivity to the existing host MCU platform. 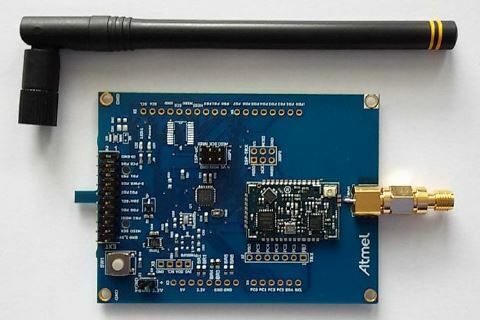 Supported by the Atmel Studio integrated development platform, the kit provides easy access to the features of the ATBTLC1000-ZR110CA BLE module and explains how to integrate the device in a custom design. 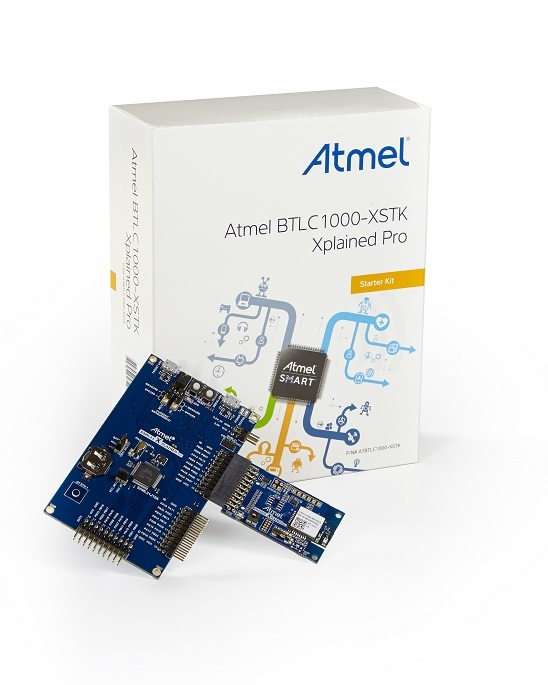 The ATBTLC1000ZR Xplained Starter Kit is a hardware platform to evaluate the ATBTLC1000-ZR110CA module with the ARM Cortex M0+ SAML21 Xplained Pro host MCU evaluation board. The Xplained Pro extension plugs into the SAML21 Xplained Pro evaluation board to quickly add Bluetooth Smart connectivity. The ATBTLC1000-ZR110CA module is based on Microchip's industry leading lowest power Bluetooth Low Energy 4.1 compliant SoC, ATBLTC1000-MU-T. 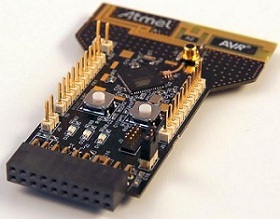 Supported by the Atmel Studio integrated development platform, the kit provides easy access to the features of the ATBTLC1000-ZR110CA BLE module and explains how to integrate the device in a custom design with the Cortex M0+ SAML21 MCU. The RCB256RFR2-XPRO is designed to provide a reference design for the ATmega256RFR2 single-chip microcontroller and radio transceiver. The IC integrates a powerful, 8-bit AVR RISC microcontroller, an IEEE 802.15.4-compliant transceiver, and additional peripheral features. The built-in radio transceiver supports the worldwide accessible 2.4GHz ISM band. The system is designed to demonstrate standard-based applications such as ZigBee/IEEE 802.15.4, ZigBee RF4CE, and 6LoWPAN, as well as high data rate ISM applications. The SMA antenna connector allows either operation with the antenna provided with the RCB or conducted RF performance measurements. The ATmega256RFR2-XPRO evaluation kit does not include extension boards. For a complete and ready to go package, the ATmega256RFR2-XSTK starter kit includes the I/O1 Xplained Pro, OLED1 Xplained Pro, and PROTO1 Xplained Pro extension boards. The ATmega256RFR2-XSTK starter kit includes the I/O1 Xplained Pro, OLED1 Xplained Pro, and PROTO1 Xplained Pro extension boards. 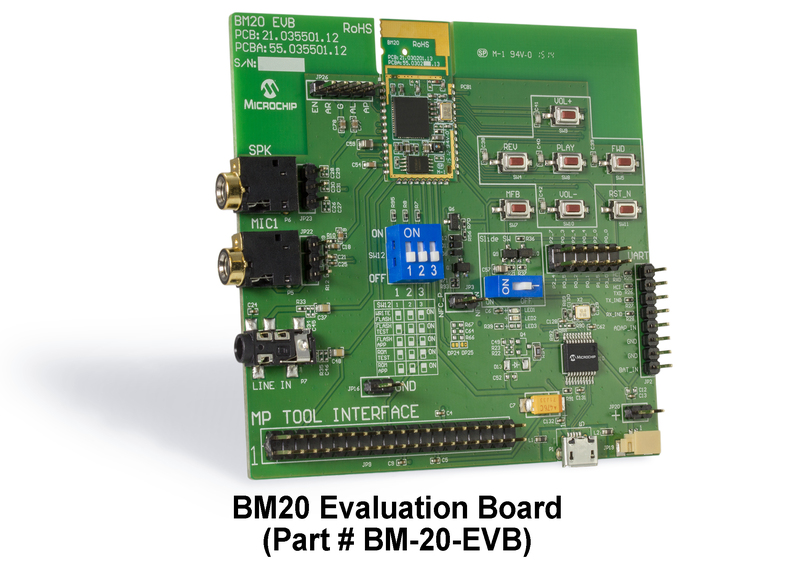 If all you need is just the MCU evaluation board, the ATmega256RFR2-XPRO evaluation kit is available and does not include extension boards. 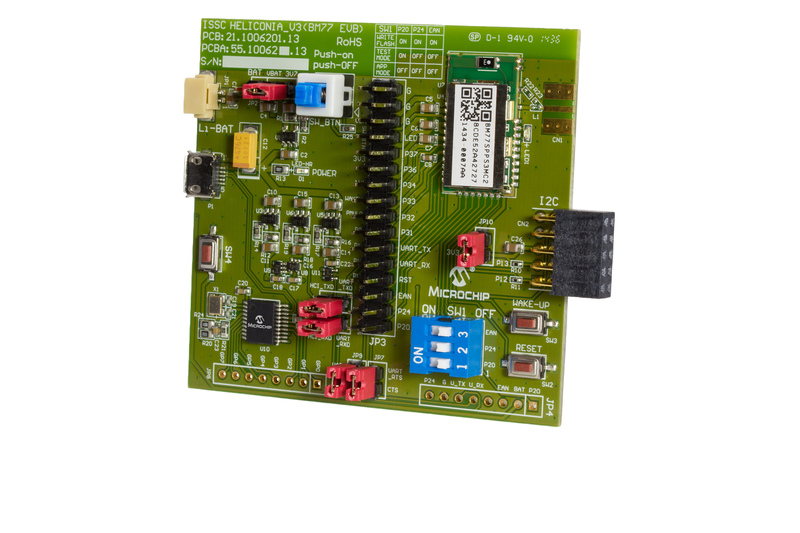 The ZB SAM R21 Xplained Pro evaluation kit is an extension board to evaluate and develop using the ATSAMR21G18-MR210UA ZigBee module. 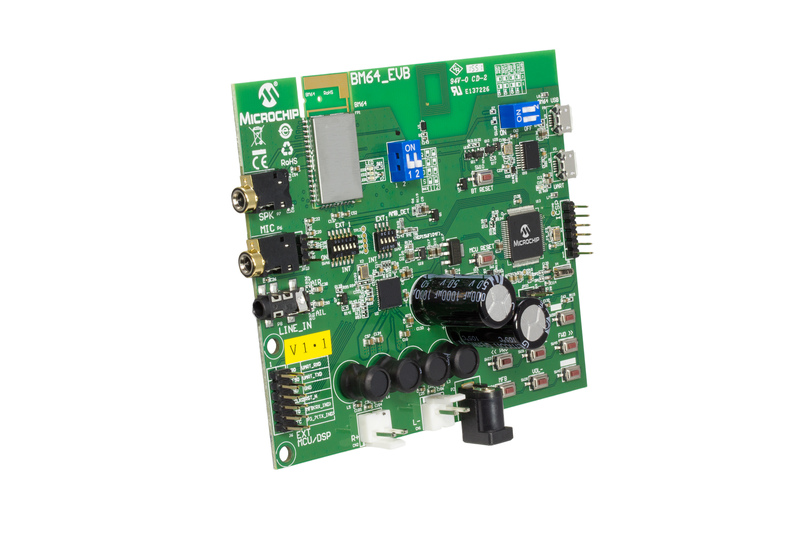 Supported by the Studio integrated development platform, the kit provides easy access to the features of the ATSAMR21G18-MR210UA module. The Xplained Pro extension kits offers additional peripherals to extend the features of the board and ease the development of custom designs. The AC102014 allows the user to connect the product. This kit can test assembled defect of speaker, microphone and button. ATAK51004-V2 provides a complete system showing an all Microchip® solution for Remote Keyless Entry (RKE), Passive Entry Passive Start (PEPS), and Immobilizer (IMM) applications. This system uses AES-128 encryption to protect the realistic multi-channel RF and LF communication protocols and supports 1-way RF communication for PEPS. Two different learn modes (RF & LF) have been implemented to demonstrate pairing of a key fob to a vehicle. The status of the system is displayed on both the hardware LEDs and a comprehensive PC GUI. Combined with Microchip’s advanced devices, the multi-channel RF messaging provides exceptional performance even in the presence of interference. The system provides the basic hardware needed for the vehicle side, which includes the ATA5291, integrated immobilizer Basestation and 4-channel (expandable to 8) PEPS coil driver, as well as, ATA5782 RF RX along with a microcontroller. The key fob includes the ATA5702, which incorporates the 3-D Immobilizer and the 3-D LF wake up for PEPS with 1-way RF transmitter into a single IC device. Through this tool, Microchip has made it very easy to implement a complete car access and security system using Microchip high-performance devices. This kit is supported by all standard AVR® development tools such as Atmel Studio 7, Atmel-ICE, JTAGICE3, etc. The ExpLoRer LoRa Board for EU/IN (868 MHz) is an easy-to-use development board based on SAMD21 Cortex® - M0+ microcontroller. 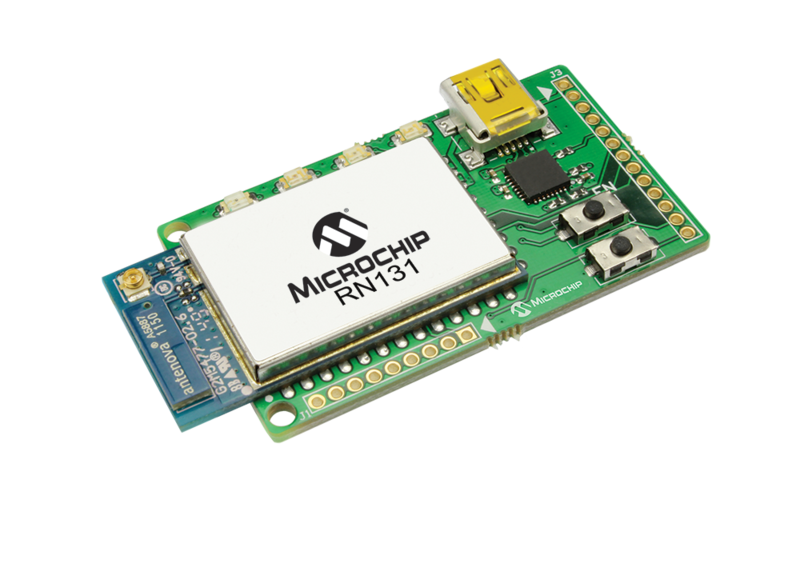 The board features RN2483 LoRaWAN module along with an RN4871 Bluetooth 4.2 BLE module. 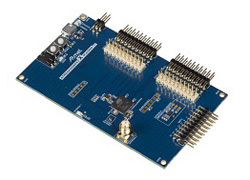 This small development board comes with two rows of standard headers for feature expansion and rapid prototyping. The SODAQ ExpLoRer board also includes a micro USB port for debug as well as for charging purposes. For information on board hardware, software documentation, and how to get started using the ExpLoRer LoRa board visit the SODAQ page. The ExpLoRer LoRa Board for US/AUS (915 MHz) is an easy-to-use development board based on SAMD21 Cortex® - M0+ microcontroller. The board features the RN2903 LoRaWAN module along with an RN4871 Bluetooth 4.2 BLE module. 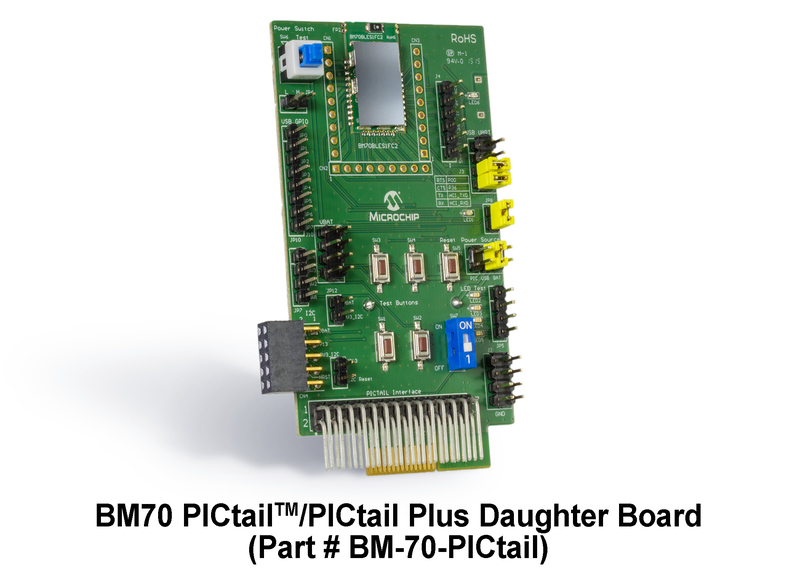 The IrDA PICtail™ Plus Daughter Board is designed to operate in conjunction with Microchip’s Explorer 16 or other development boards with a PICtail Plus connector and AN1071 IrDA Standard Stack for Microchip 16-bit and PIC32 devices to create an IrDA-enabled development and evaluation platform. The IrDA Stack is written to operate with the IrDA-enabled UARTs on the 16-bit PIC24 MCUs, PIC32 MCUs and dsPIC33 DSCs. 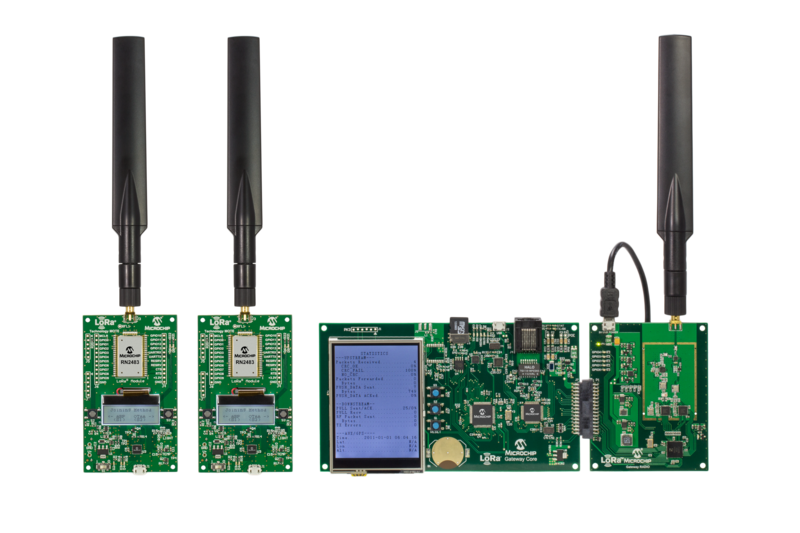 The LoRa® Network Evaluation Kit makes it easy for customers to test LoRa technology, range and data rate. 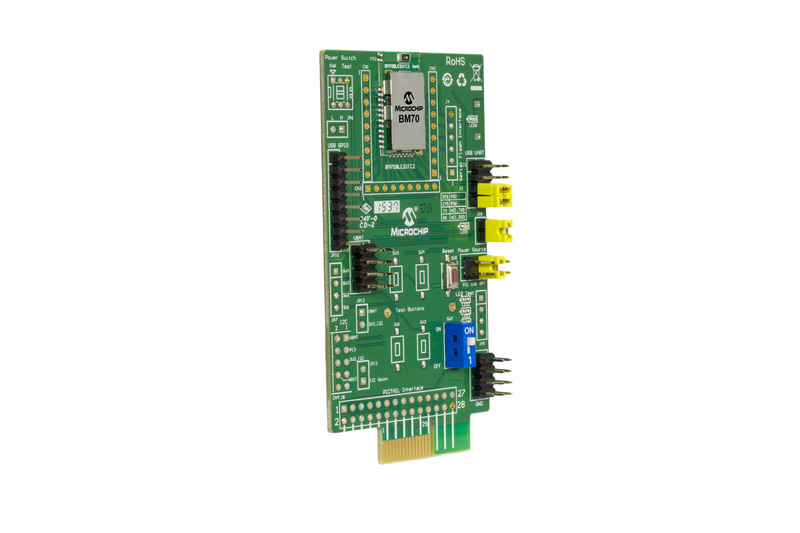 The full-featured gateway board includes an LCD screen, SD Card for Config Data, Ethernet connection, 868 MHz antenna, and full-band capture radios. 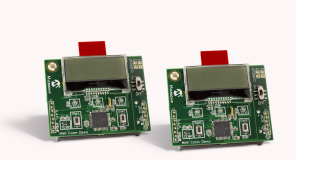 The Gateway evaluation kit also includes two RN2483 Mote boards (Part # DM164138). The gateway uses a local version of the LoRaWAN network server running under Windows so it does not need an external network connection. This creates a self-contained demo network that makes testing the LoRa network quick and easy. The LoRa® Network Evaluation Kit makes it easy for customers to test LoRa technology, range and data rate. 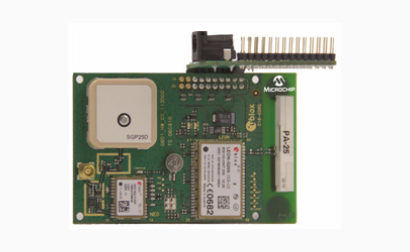 The full-featured gateway board includes an LCD screen, SD Card for Config Data, Ethernet connection, 915 MHz antenna, and full-band capture radios. 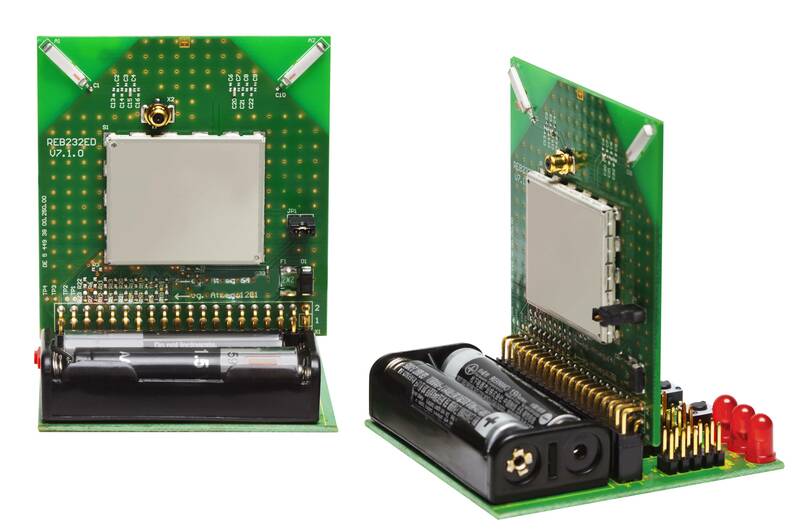 The Gateway evaluation kit also includes two RN2903 Mote boards (Part # DM164139). MiWi Demo Kit – 915 MHz MRF89XA is an easy-to-use evaluation and development platform for 915 MHz applications. 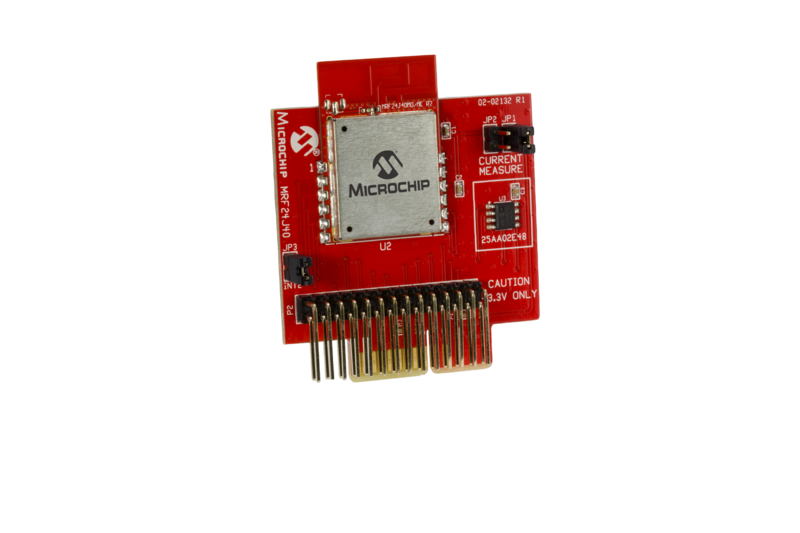 This kit includes Microchip’s MRF89XAM9A transceiver module and also features Microchip’s PIC18 XLP microcontroller family. 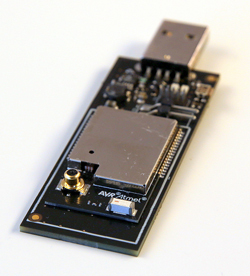 The kit includes complete hardware needed to rapidly prototype wireless applications. The demonstration kit is pre-programmed with MiWi™ protocol stack and you can find the demo instructions in the user’s guide. To learn more about MiWi wireless protocol, please visit www.microchip.com/MiWi. Developers can reprogram or modify the PIC18 MCU Flash memory and develop and debug application code all on the same platform. 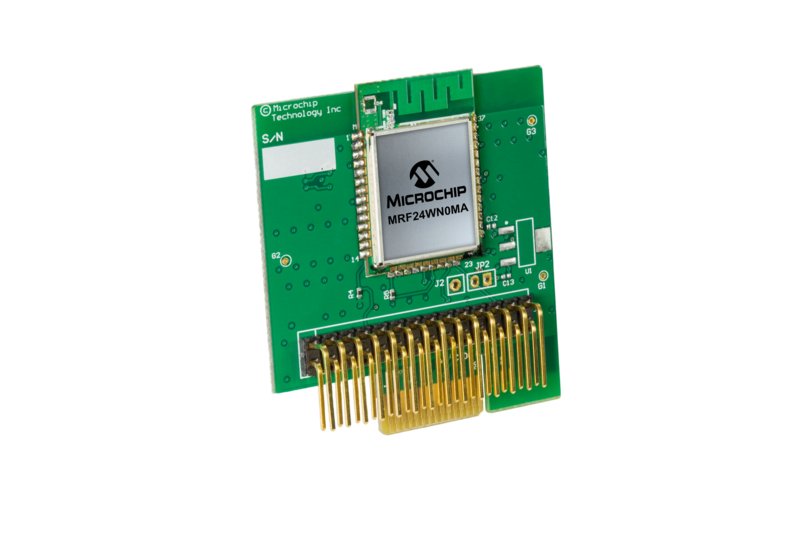 The MRF24J40MD PICtail™/PICtail Plus Daughter Board is a demonstration and development daughter board for the MRF24J40MD IEEE 802.15.4, 2.4 GHz RF Transceiver module. 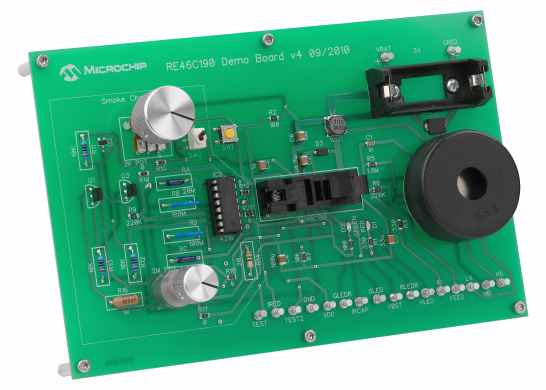 The daughter board can plug into multiple Microchip Technology demonstration and development boards. For example, for 8-bit microcontroller development using the PIC18 Explorer Board (DM183032) or for 16-bit microcontroller development using the Explorer 16 Development Board (DM240001). Supporting software stacks and application notes may be downloaded from the Microchip website at www.microchip.com/wireless. 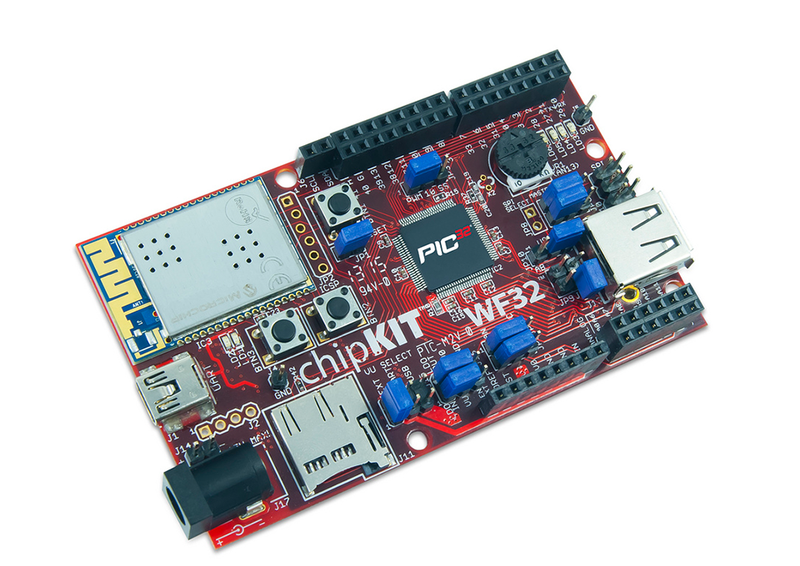 The Wi-Fi G PICtail/PICtail Plus Daughter Board is a demonstration board for evaluating Wi-Fi connectivity using PIC microcontrollers and the MRF24WG0MA module. This product is compatible with the Explorer 16 Development Board (DM240001), PICDEM.net2 Development Board (DM163024) and PIC32 Starter Kit (DM320001) with I/O Expansion Board (DM320002). 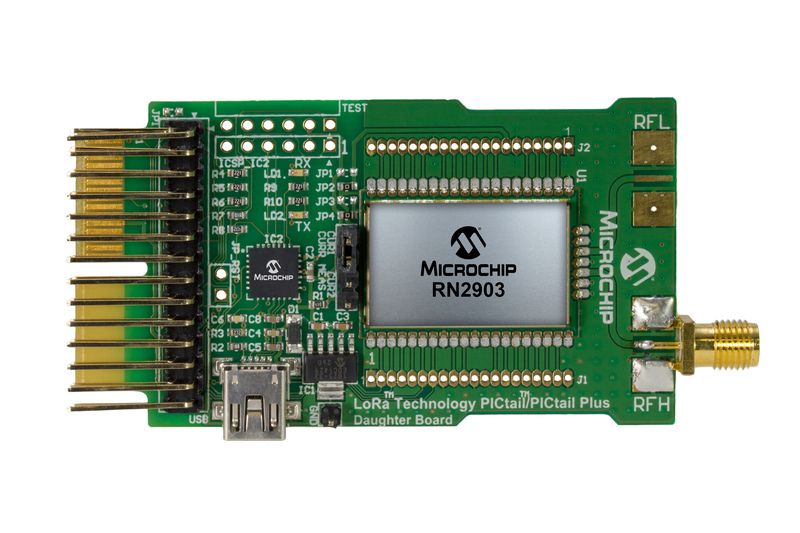 The MRF24WN0MA Wi-Fi PICtail/PICtail Plus Daughter Board is a demonstration board for evaluating Wi-Fi connectivity using PIC microcontrollers and the MRF24WN0MA module. This product is compatible with the Explorer 16 Development Board (DM240001) and PIC32 Starter Kit (DM320001) with I/O Expansion Board (DM320002). 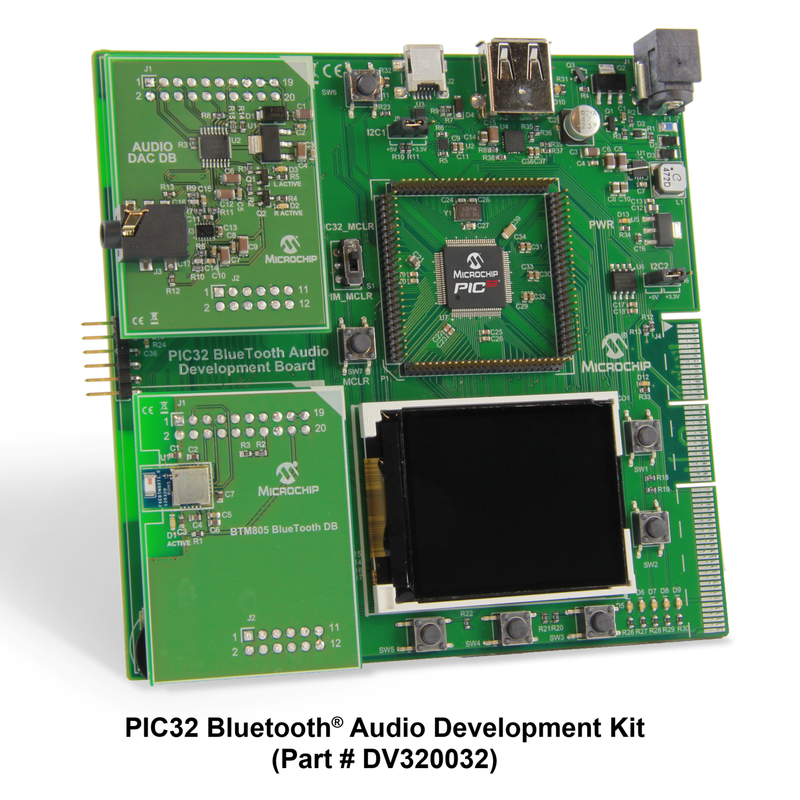 The PICkit™ Serial I2C Demo Board was designed to easily connect to the PICkit Serial Analyzer (DV164122). The PICkit Serial Analyzer provides the I2C master mode serial communications and power for the PICkit™ Serial I2C Demo Board. The devices on the demo board operate in the I2C slave mode and can easily be connected to virtually any demo or development board by connecting the communications lines to connector P1. The PICkit™ Serial SPI Demo Board was designed to easily connect to the PICkit Serial Analyzer (DV164122). The PICkit Serial Analyzer provides the SPI master mode serial communications and power for the PICkit™ Serial SPI Demo Board. The devices on the demo board operate in the SPI slave mode and can easily be connected to virtually any demo or development board by connecting the communications lines to connector P1. The demo board is a complete stand-alone smoke detector application with a smoke chamber emulator. 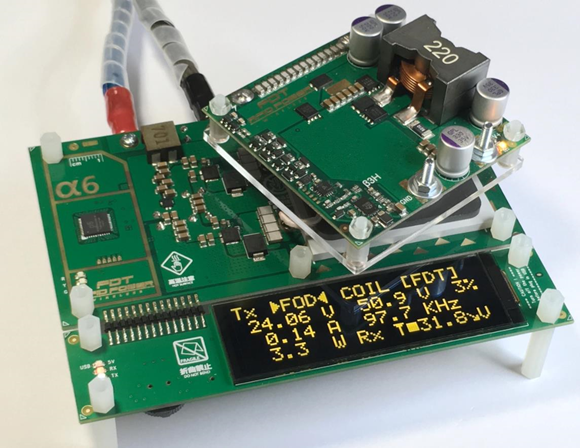 The demo board allows evaluation of all the functions of the RE46C190. Key test points of the device are available at the bottom edge of the demo board. It is designed for battery operation using a CR123A battery or can be operated using a power supply. The RE46C190 application circuit is on the right side of the board by the battery holder and piezo horn and the smoke chamber emulator is on the left. The smoke chamber emulator can be disconnected from the application circuit and a photo smoke chamber or its components can be connected to the demo board. The REB232ED-EK demonstrates the unique performance and feature set of the 2.4GHz radio transceiver AT86RF232 combined with the leading edge ATxmega256A3 microcontroller. AT86RF232 is a feature-optimized wireless transceiver for consumer applications in the unlicensed 2.4GHz ISM band. It is ideal for, low complexity, peer-to-peer wireless applications like remote controls, health and fitness devices, toys, game controllers, and others. Radio transceiver features like hardware accelerators for IEEE 802.15.4 signal processing or advanced features like AES and antenna diversity can easily be evaluated with the REB232ED-EK kit. In addition it serves as a reference design for derived product developments. 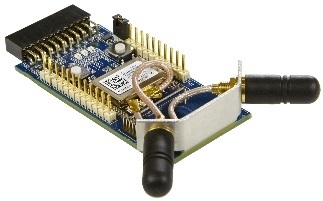 The REB233SMAD-EK demonstrates the unique performance and rich feature set of the 2.4GHz RF transceiver AT86RF233 combined with the leading edge ATxmega256A3 microcontroller. The REB233SMAD-EK contains two sets of Radio Extender Board(REB), Controller Base Board (REB-CBB) and USB cable to enable PC connectivity. The REB is assembled with an AT86RF233 and two SMA antennas, demonstrating the unrivaled hardware based Antenna Diversity feature to improve radio link robustness in adverse RF environments. The REB connected to the REB-CBB forms a fully functional, battery powered wireless node. The RN-131-EK supports the evaluation of projects planning to use the RN131 module. 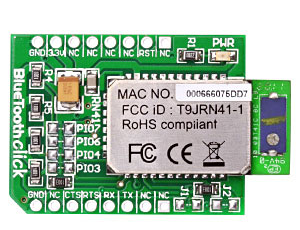 The RN131 module incorporates a 2.4 GHz radio, processor, full TCP/IP stack, real-time clock, and supports the FTP client, DHCP, DNS, and HTML client protocols. The module supports ad hoc and infrastructure networking modes along with SoftAP mode. The RN131 module is programmed and controlled from a console with a simple ASCII command language. Once the configuration is set up, the module can automatically scan to find an access point, associate, authenticate, and connect over any Wi-Fi network. Additionally, the module can automatically wake up, send data to a remote host, and go back to a low-power sleep state. 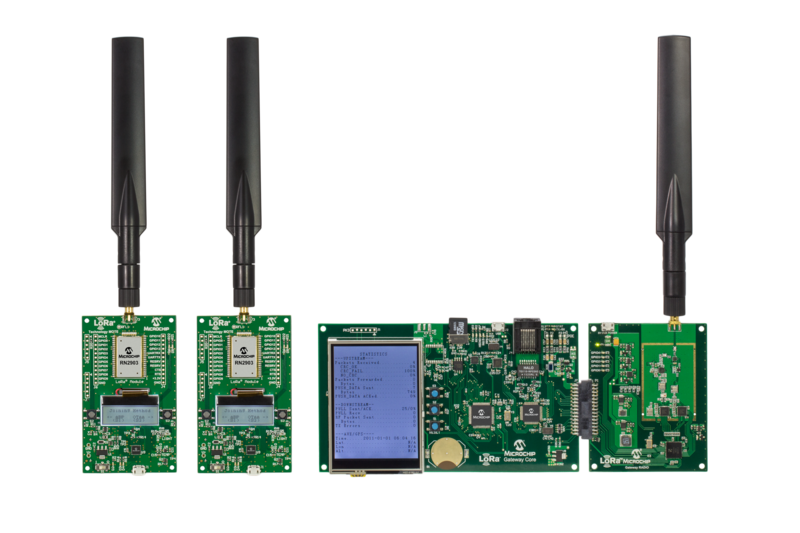 The RN-171-EK is an 802.11 b/g Wi-Fi evaluation kit for the RN171 module that can be used to quickly add Wi-Fi connectivity to embedded applications. It has the flexibility to connect directly to a PC via a standard USB interface or to embedded processors through the TTL/UART interface. The board includes 2 convenient push buttons for controlling both SoftAP and WPS (Wi-Fi Protected Setup) mode without software configuration. The status LEDs and jumpers enable rapid prototyping and integration into existing systems. The RN-171-EK can be powered by both a USB cable (included in the kit) or batteries. The board contains a battery boost circuit which makes it possible to power the board using two AAA batteries (the input voltage can go down to 2.0 V DC when using the battery boost circuit). The battery boost circuit makes the RN-171-EK perfect for battery powered applications such as sensors, data acquisition systems, controllers, etc. 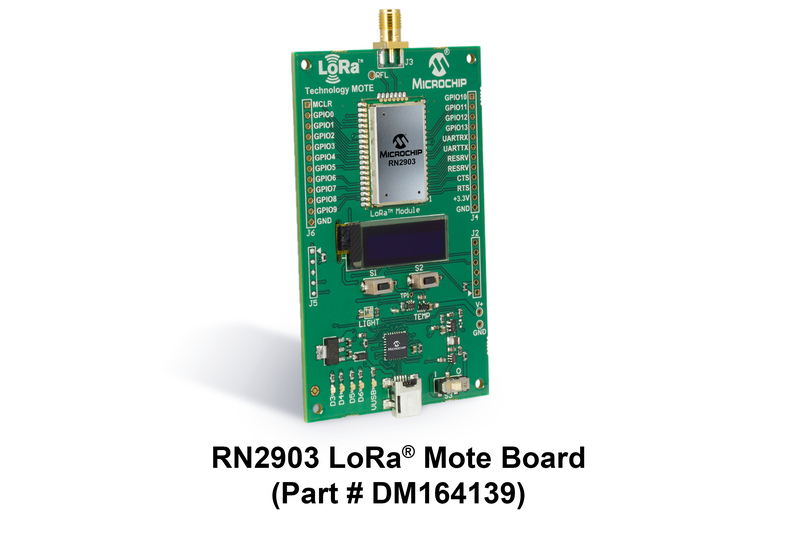 The RN2483 LoRa® Technology PICtail™/PICtail Plus Daughter Board is a development board that showcases the Microchip RN2483 Low-Power Long Range, LoRa® Technology Transceiver Module. 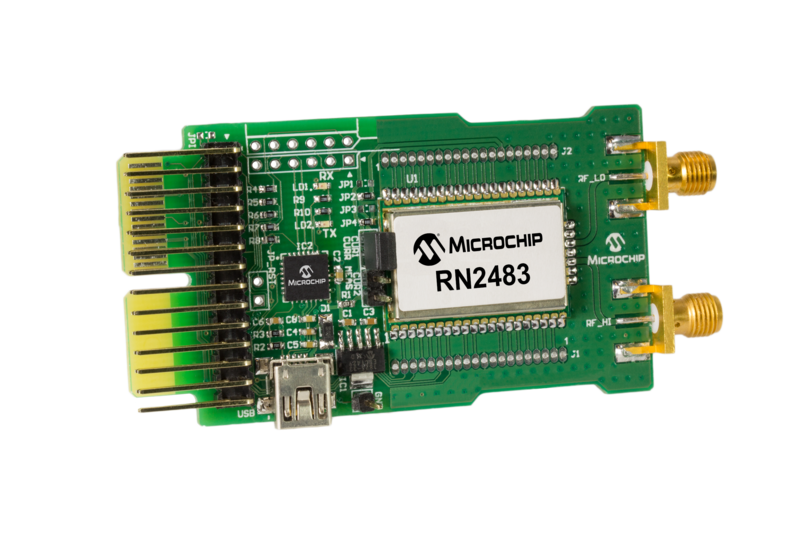 Development of a LoRa system with the RN2483 connected to Microchip’s PIC MCU line is possible on PIC18 Explorer boards via the 28-pin PICtail connector, or on Explorer 16 boards using the 30-pin card edge PICtail Plus connector. 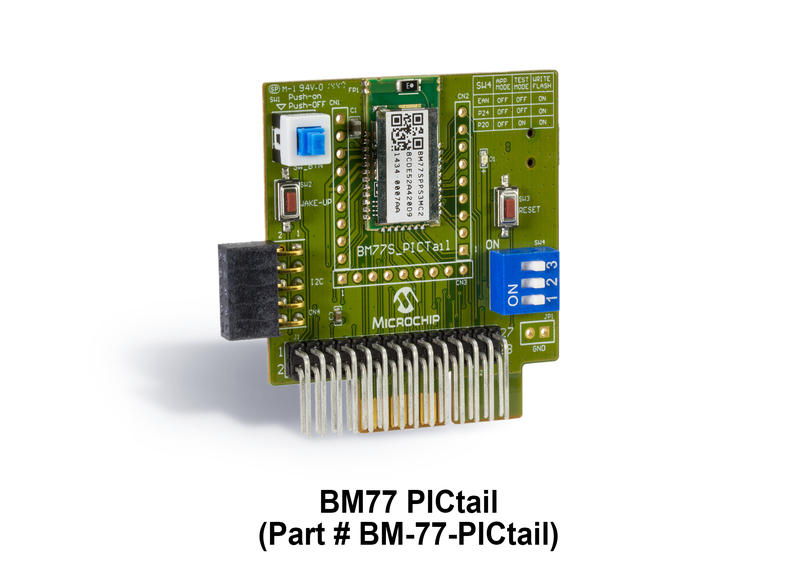 The PICtail board also has an on-board PIC18 MCU available for custom user functions. It is pre-programmed to provide a simple USB-to-UART serial bridge enabling easy serial connection. Demonstration of the RN2483 is performed by plugging the daughter board into a USB port of a PC. The USB port powers the daughter board and enables the user to communicate using the RN2483’s simple ASCII command interface. The RN-XV-EK1 is an evaluation kit for the RN171XV series of modules. The RN171XV module is a certified Wi-Fi solution especially designed for customers who want to migrate their existing 802.15.4 architecture to a standard TCP/IP based platform without having to redesign their existing hardware. The RN-XV-EK1 board connects to a PC via a standard USB cable (included in the kit), and provides 2 push button switches to control WPS mode and to reset the module. 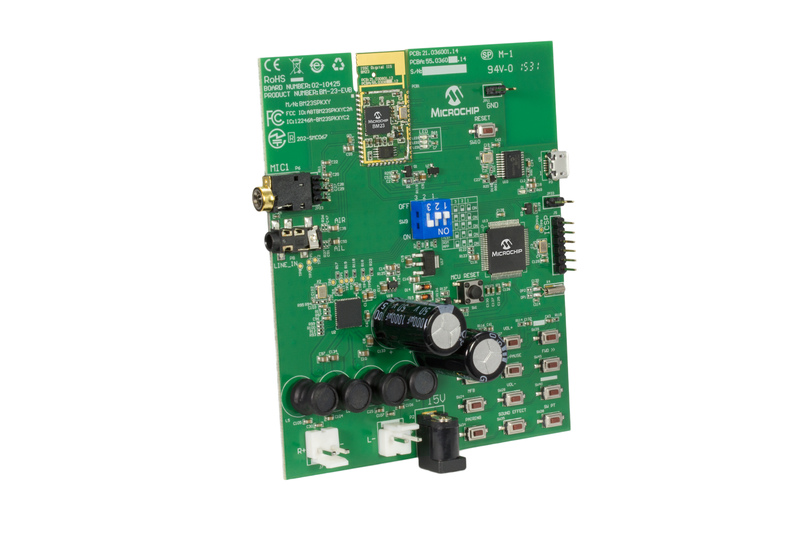 The RN-XV-RD2 is a dual relay I/O reference design that demonstrates the RN171XV series of Wi-Fi modules. This convenient reference design includes a USB cable that connects directly from the board to a PC for programming the module over the UART. The board has 2 relays capable of switching up to 240 volts and multiple push buttons for reset, ad hoc/WPS mode, and AP mode. Also includes status LEDs and jumpers for quickly and easily evaluating the RN171XV series of modules. 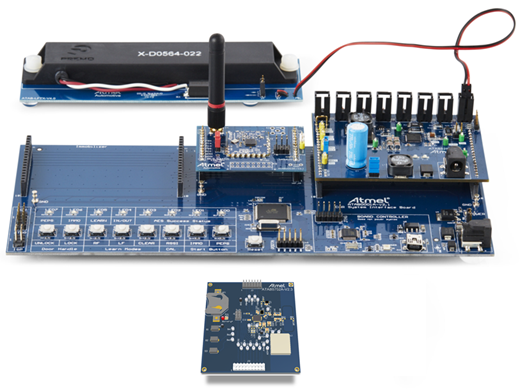 The starter kit accelerates development, debugging, and demonstration for a wide range of low power wireless applications including IEEE 802.15.4, 6LoWPAN, and ZigBee networks. The kit includes one USB stick with a 2.4GHz transceiver and a USB connector. The included AT86RF230 transceiver's high sensitivity supports the longest range for wireless products. The AT90USB1287 incorporates fast USB On-the-Go. 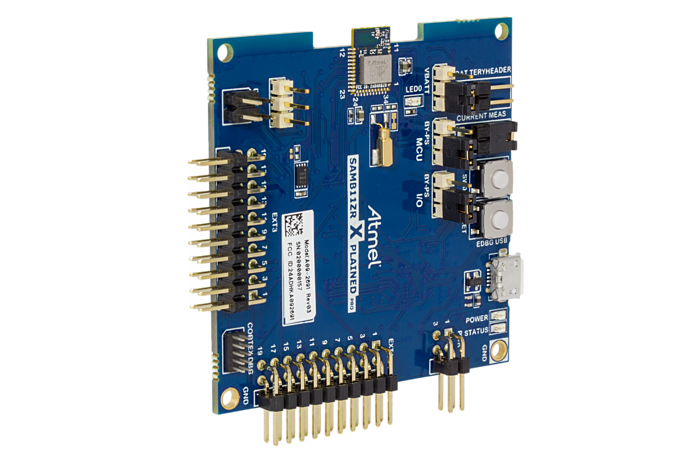 The SMART SAMB11 Xplained Pro evaluation kit is a hardware platform to evaluate the ATSAMB11-MR510CA module for a complete Bluetooth Smart application on a ARM® Cortex®-M0 based MCU. The ATSAMB11-MR510CA module is based on s industry leading lowest power Bluetooth Low Energy 4.1 compliant SoC, ATSAMB11 with 256KB of integrated flash. 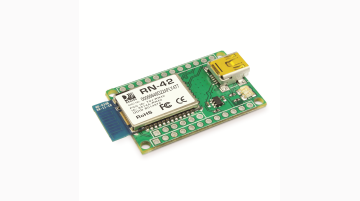 Supported by the Studio integrated development platform, the kit provides easy access to the features of the ATSAMB11-MR510CA BLE module and explains how to integrate the device in a custom BLE application. 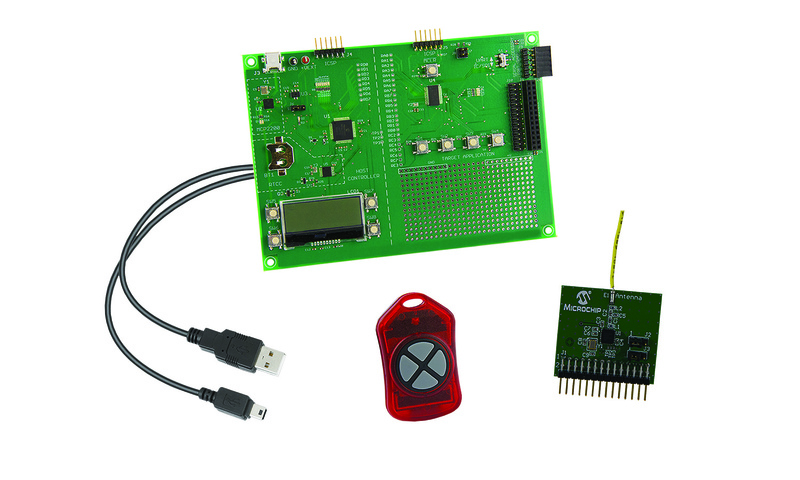 The Xplained Pro evaluation kits include an on-board Embedded Debugger and no external tools are necessary to program or debug the ATSAMB11-MR510CA BLE module. The Xplained Pro extension kits offers additional peripherals to extend the features of the board and ease the development of custom designs. The SAM R21 Xplained Pro evaluation kit is a hardware platform to evaluate the ATSAMR21G18A microcontroller. 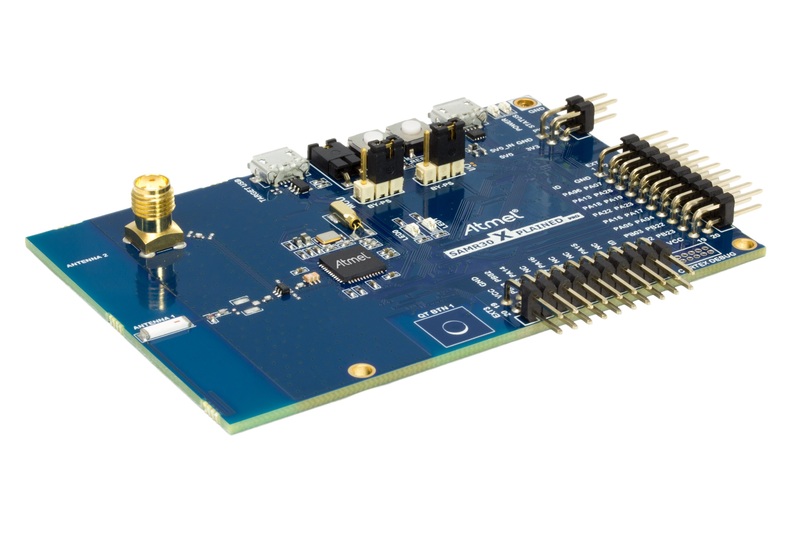 Supported by the integrated development platform Atmel Studio, the kit provides easy access to the features of the ATSAMR21G18A and explains how to integrate the device in a custom design. 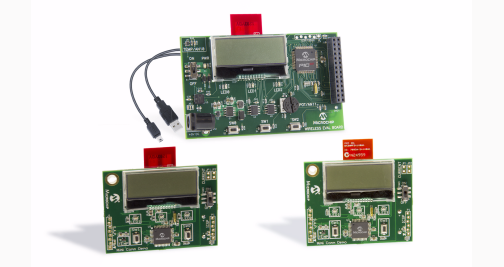 The Xplained Pro MCU series evaluation kits include an on-board Embedded Debugger, and no external tools are necessary to program or debug the ATSAMR21G18A. The Xplained Pro extension kits offers additional peripherals to extend the features of the board and ease the development of custom designs. The ATSAMR21ZLL-EK evaluation kit is a hardware platform to evaluate the ATSAMR21G18A microcontroller. Supported by the Studio integrated development platform, the kit provides easy access to the features of the ATSAMR21G18A and explains how to integrate the device in a custom design. 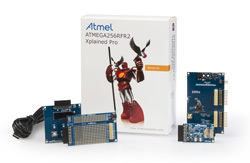 The ATSAMR21ZLL-EK evaluation kits include an on-board Embedded Debugger, and no external tools are necessary to program or debug the ATSAMR21G18A. This Evaluation Kit supports antenna diversity, RGB led, QTouch Interface, OLED display, Joystick, user LEDs, user switch, external USB, UART interfaces and Xplained pro extension header. 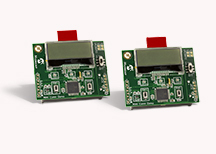 The SAM R30M Xplained Pro is a hardware platform designed to evaluate the SAMR30M18A module. 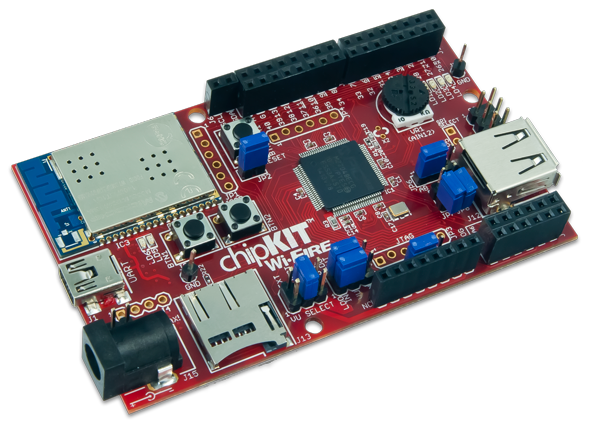 This kit is supported by the Atmel Studio, an integrated development platform, which provides predefined application examples. 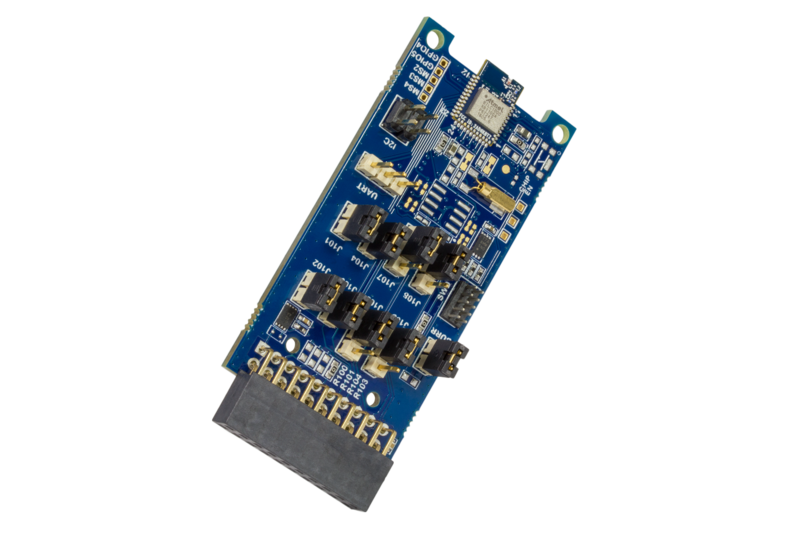 This kit provides easy access to various features of the SAMR30M18A module and offers additional peripherals to extend the features of the board and ease the development of custom designs. 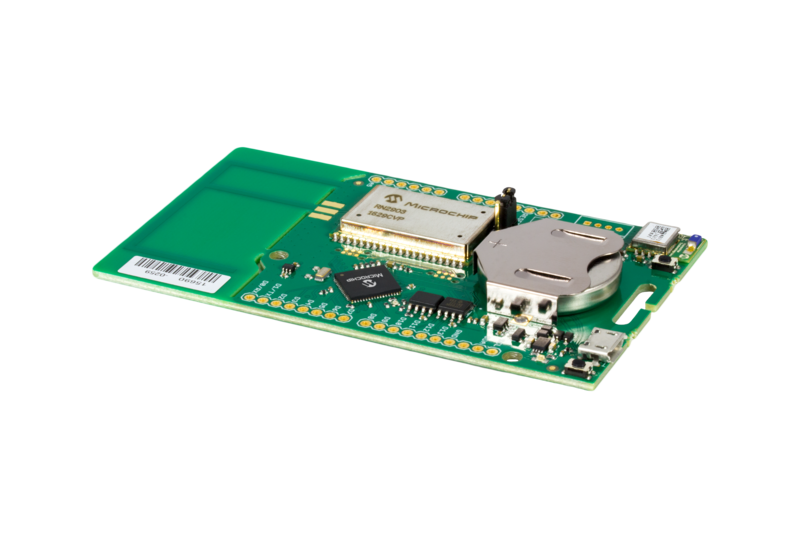 The SAMB11ZR Xplained Pro evaluation kit is a hardware platform to evaluate the ATSAMB11-ZR210CA module for a complete Bluetooth Low Energy application on an ARM® Cortex®-M0 based MCU with 256KB of integrated flash and 128KB of RAM. 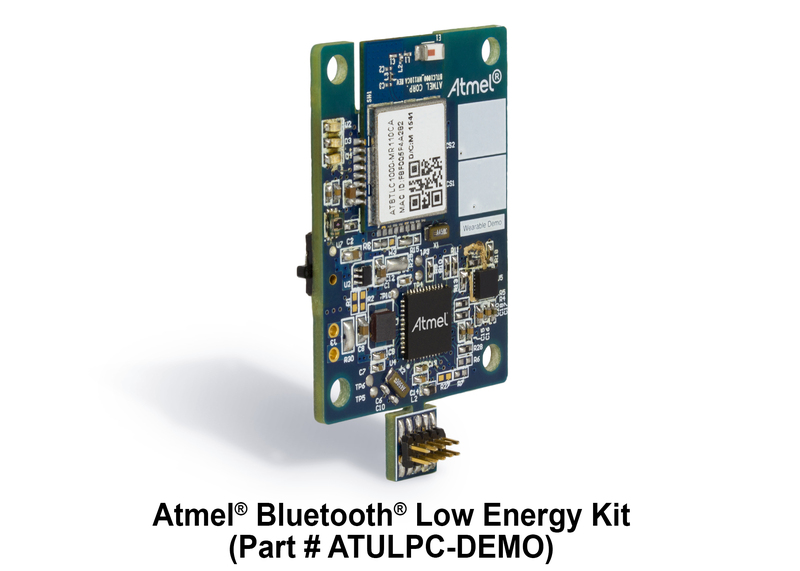 Supported by the Studio integrated development platform, the kit provides easy access to the features of the ATSAMB11-ZR210CA Bluetooth Low Energy module and explains how to integrate the device in a custom Bluetooth Low Energy application. 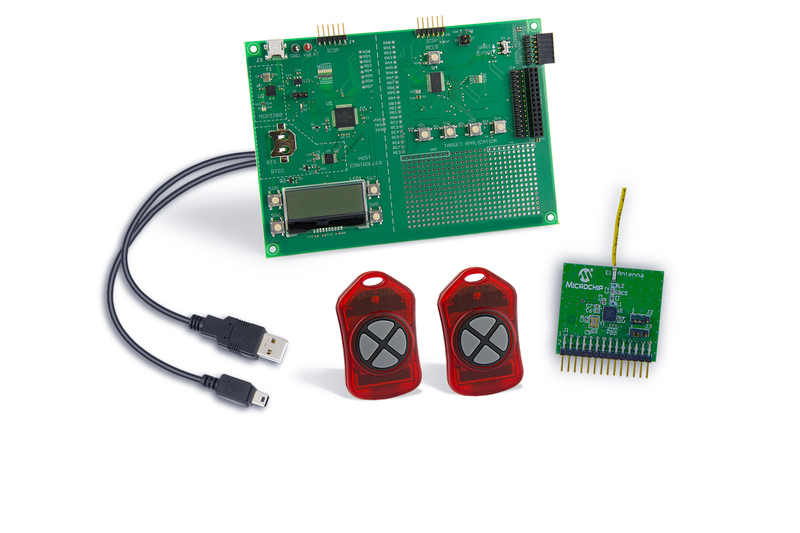 The Xplained Pro evaluation kits include an on-board Embedded Debugger and no external tools are necessary to program or debug the ATSAMB11-ZR210CA module. The Xplained Pro extension kits offer additional peripherals to extend the features of the board and ease the development of custom designs. 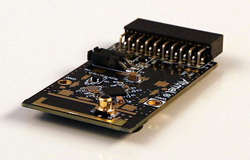 For the latest documentation on the ATSAMB11-ZR module please see the product page. The SAM R34 Xplained Pro is a hardware platform designed to evaluate the SAM R34 family of LoRa® devices. 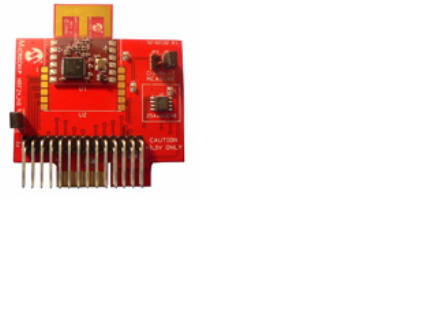 This FCC, ISED and RED certified board is not only an evaluation platform but also an excellent reference design for developing SAMR34 based LoRa end-node applications. This kit is supported by the Atmel Studio, an integrated development platform, which provides predefined application examples. 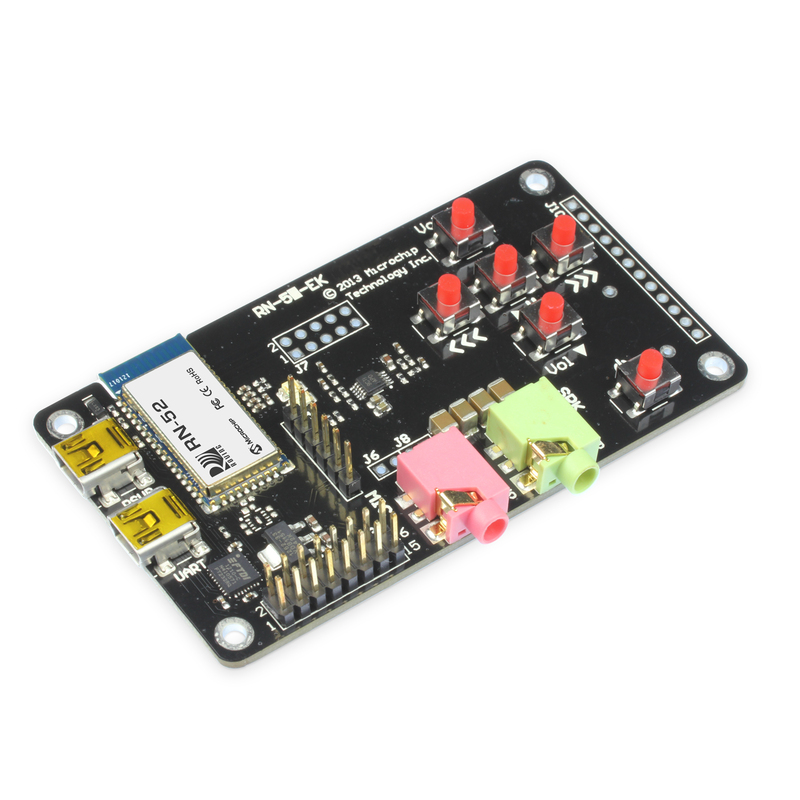 The kit also provides easy access to various features of the ATSAMR34J18B device and offers additional peripherals to extend the features of the board and ease the development of custom designs. For software examples, update to ASF 3.44 and above. For more information about ASF v3, click here. SAM R34/35 SiP devices come in six device variants with different memory/interface options. For more information on specific SAM R34/35 device variants, refer to the product variant below. 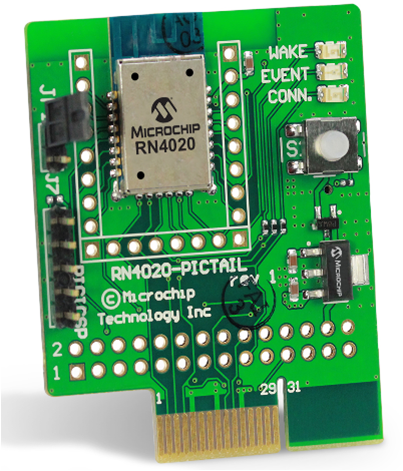 Bluetooth click is an accessory board in the mikroBus™ form factor. Enrich your design with Bluetooth® capability with up to 100m range. Board offers low power, highly economical Bluetooth radio for adding wireless capability to your products. 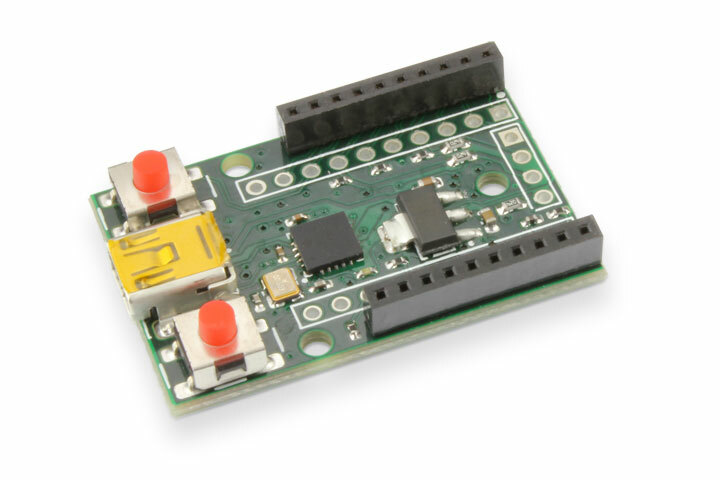 On-board RN-41 module with UART interface is easy and simple to use. Board is designed to use 3.3V power supply only. Note: mikroBUS is an expansion board format used on several development boards from MikroElektronika, including TMIK013, TMIK016, TMIK017, TMIK021, TMIK022, and TMIK023. This external antenna is manufactured by Aristotle Enterprises (Alead RFA-02-L2H1) , and is suitable for 2.4 GHz Wi-Fi (IEEE 802.11), ZigBee, MiWi, and IEEE 802.15.4. This external antenna is manufactured by Aristotle Enterprises (Alead RFA-02-5-F7H1), and is suitable for 2.4 GHz Wi-Fi (IEEE 892.11), ZigBee, MiWi, and IEEE 802.15.4. The ATULPC-DEMO demo uses a SAM L21 MCU, interfaced with BTLC1000 fully certified module and several sensors on a small form factor PCB (40mm x 30mm) operated on a coin cell battery. The environment sensor data (temperature, pressure, humidity, light), motion sensor data (3-axis acceleration, gyroscope) and sensor fusion data (3D plot, step count, free fall detection) are sent using BLE and displayed on an Android App. The HMI interface of the App is linked to a touch surface of the demo board, which is driven by the Peripheral Touch Controller integrated in the SAM L21 MCU. The User Guide & Schematic of the demonstrator platform is located on the documents tab. You will also find additional downloads, including design files, firmware & mobile app source code, at the bottom of this page. The Android app can also be downloaded from the Google Play store. 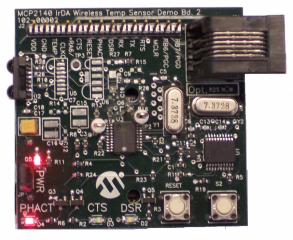 The reference design demonstrates a complete 2.4GHz ZigBee IEEE 802.15.4 based compliant radio transceiver solutions and conform to FCC CFR47 part 15. The wireless SoC reference design series (RFMDs RF6505/6575/6555) are developed by the partnership between RFMD and Corporation. The RFMD device increases transmit power and sensitivity. The ZENA™ Wireless Adapter is a multifunction Universal Serial Bus (USB) wireless adapter connecting USB-equipped desktop or notebook computers with Microchip wireless products for development or application uses. As a development tool, the ZENA Wireless Adapter can be used as a protocol analyzer or as a diagnostic tool. 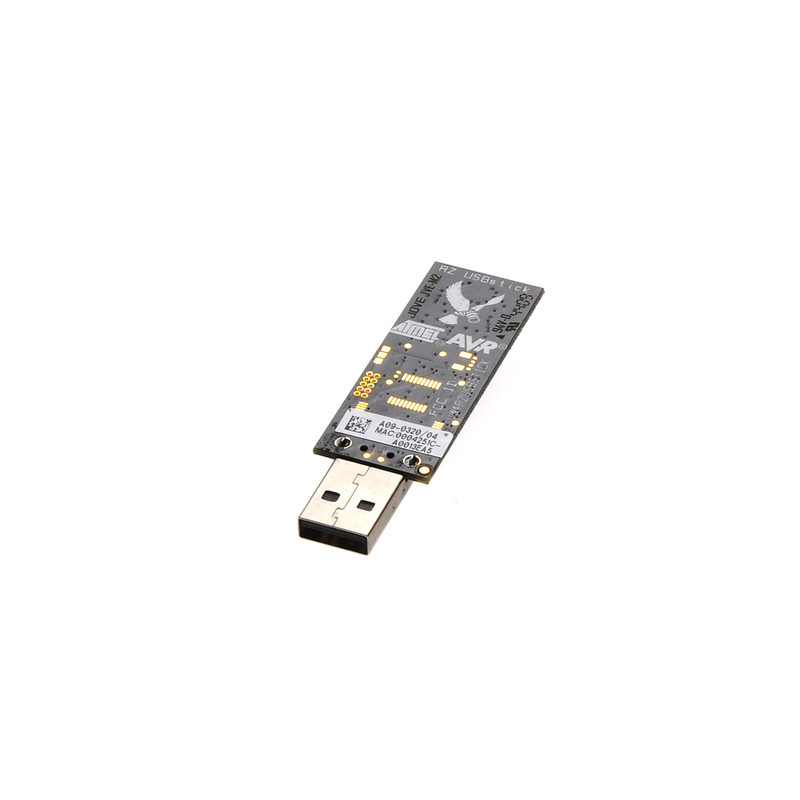 The ZENA Wireless Adapter is capable of performing a variety of functions and each function can be programmed into the adapter using the USB boot loader. 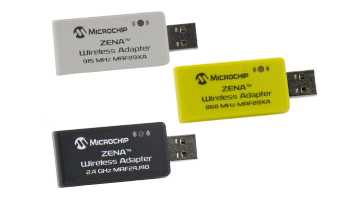 The ZENA Wireless Adapter is pre-programmed with a MiWi™ Wireless Protocol Sniffer application. This allows the user to display MiWi Wireless Protocol packets in a graphical format in the Wireless Development Studio.